Why is it important to learn more about the water that you drink? What is purified water for drinking? Where does purified water come from? How is purified water made? Purified Water: How is it good for you? Purified Water: How is it bad for you? What is the pH of purified water? Does purified water have fluoride? Is this a good thing or a bad thing? Where can I buy purified water if I can't make purified water on my own? Do you want to learn more about purified water? Are you wondering how to know if your brand of purified water is safe to drink? Do you want to know all the good purified water can do for our bodies? How about all the BAD? So what happens in case of water purification for drinking? Who can benefit from additional fluoride in their purified water? How Will You Know If The Purified Water Is Still Good To Drink? There are enough reasons why drinking purified water should be on the top of your daily to-do list. Drinking enough water everyday can do wonders for your overall health. If you are always reaching out for bottle drinking water, there are few very important things you should know about the water you are consuming. There are many known brands that offer bottled purified drinking water. But if you are concerned about the safety of your drinking water, we can help to ease a lot of your worries regarding how to know if the purified water you are having is actually safe, and tell you more about where the purified water comes from. In this article, we will tell you what is purified drinking water and how it is different from spring water or distilled water. We will also tell you about where purified water comes from and whether or not it is actually safe for you to drink it. You can also find out more about any fluoride content that may be present in purified water, and what effect it can have on you and your loved ones’ health. Also, we will tell you more about where to buy purified water from if you are not able to purify your drinking water at home. And also how to know when water goes bad and is not fit for drinking, and how to increase the shelf life of your purified drinking water. The source of your drinking water is always important, because it tells you a lot about the type of water you are consuming. Getting water in bottles is a very common sight today, with Americans drinking more than 2 billion gallons of bottled water a year! According to a news report, in the year 2016, Americans drank more bottled water than soda. Here is why you should know more about the water that you are drinking! Unfortunately, there is no regulation yet that demands brands to spell out the source of their bottled water. This means that most buyers of bottled drinking water may never know where the water is actually coming from, even though you pay a big price for it. In a study done earlier, it was found that only 55 percent of bottled water brands are actually spring water, while the remaining 45 percent brands sell treated tap water as bottled water. It was also found out by the Environmental Working Group (EWG) that almost 18 percent of the brands selling bottled water provide no information on where the water is originating from. On top of that, a staggering 32 percent out of the total 173 brands selling bottled water did not provide any information on their labels about the purity of their water or the type of treatment procedures that they use. This means that, even though you are paying a price for the water that you want to be pure to drink, you don’t have any idea about where it is coming from! Purified drinking water is the type of drinking water in which the impurities are reduced to such an extent that they do not form more than 10 parts per million. These numbers are extremely high when compared to the requirement for regular drinking water, such as tap water that is deemed safe for drinking by the Environmental Protection Agency. In case of purified drinking water, the pathogens and chemicals are removed, but it may still contain traces of microbes. You may think that purified drinking water and filtered drinking water is actually the same thing. But in reality, this is quite different. It is true that all water that is fit to be consumed goes through some or the other filtration process, but in case of purified water, the standards of filtration and treatment are far stricter. Purified water has to go through very strict purification as well as filtration standards. As a result, purified drinking water can actually originate from any source, such as tap water, spring water or even ground water. Today, more and more people are drinking bottled water for various reasons. You may be drinking bottled water because it is easily available, maybe you travel a lot and need water on the go, or simply because drinking it from a sealed bottle makes you feel assured and more comfortable about the quality of the water. Purified water actually makes up for most of the bottled drinking water that you get in the market. The reason behind this is the strict purification treatment that purified water goes through. In most cases, purified water originates at a spring, or at any groundwater or surface source. In some cases, it can also directly come out of a tap. The thing about purified water is that no matter where it comes from originally, the final water that you get when you drink is always clean and pure. The reason behind this is the strict purification process that it is made to go through. Your purified drinking water may be coming from any of the sources mentioned above. As long as it comes through a purification system that functions properly, the water will almost always be very fit for drinking. This is precisely the reason why it is better to drink purified water than spring water, distilled water or even tap water or filtered water. Because of its strict purification process, while comparing the standards of purity in drinking water, purified drinking water is always considered to be on the top of the list. Purified water can come from any source. It is the treatment process that makes it purified. The word purified makes you think that this is the best type of water you can have, right? Can you drink purified water? Is it really that safe to drink, no matter what source it comes from? With so much environmental pollution all around us, it is getting increasingly difficult to make sure that what comes on your plate and in your bottle is clean and safe to eat and drink. The same could be true for your bottle of drinking water too. A bottle of purified drinking water will cost you less than a bottle of spring water. 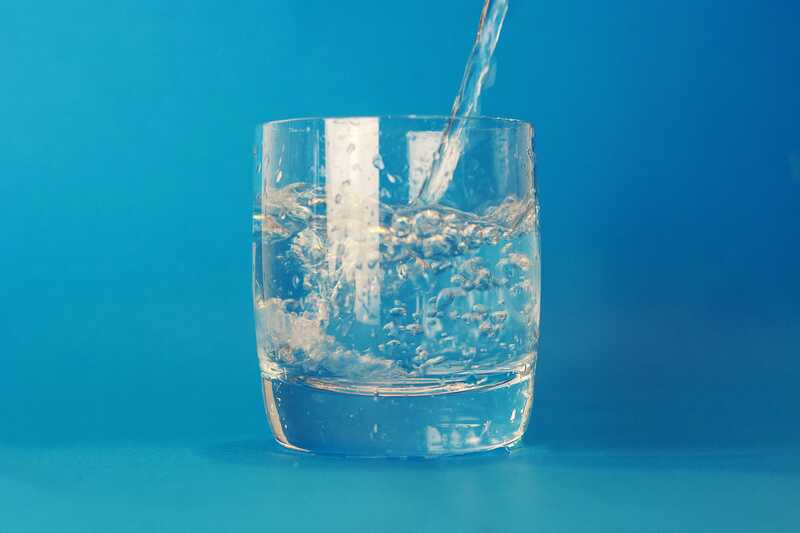 It can be said that, while drinking purified water is safe when you have it occasionally, it should not be your main source of drinking water. The main reason behind this is that purified drinking water contains chlorine, which can kill the good bacteria in your body. This is the type of bacteria which actually help to keep your digestive system healthy. So, drinking too much of purified drinking water can actually be bad for your overall digestive system. Another problem with purified drinking water is that, because it is an active absorber, any time it comes in contact with air, it absorbs the carbon dioxide. This makes the water acidic. Simply put, when you regularly drink this purified water that has turned acidic, you increase the acidic content in your body as well. If the water has been put through so many filtration and purification processes, there are bound to be at least a few reasons that make it good for consumption. Here are a few reasons why purified water is actually good for you. When you buy purified water for drinking, check the label to read about information that states the water has been through filtration and has also passed through the reverse osmosis unit. The first health benefit you get from drinking a good amount of water is to stay hydrated. Not only does drinking water make you stay healthy, it also makes you look and feel good. Being hydrated can help you look younger and keep your skin looking fresh and delay signs of aging. Not just that, drinking water is also very good for your bones and hair! When you drink purified water, it should ideally be good for your health, right? While there are reasons that make purified water for drinking so popular, there are other reasons that make purified water not so good for you after all. Here are a few reasons that show that drinking purified water over a long period of time may actually be bad for you. Purified water is very soft, and drinking it on a regular basis can increase your risk of heart related issues. Drinking more purified water increases your body’s acidic levels, and as a result, your body produces bicarbonate in the blood. It also leads to a deficiency of multiple minerals in the body. All this comes together to increase stress on your heart and is bad for your overall cardiovascular health. One of the features of purified water is that it acts as an active absorber. This means that, the moment it comes in contact with regular air, it absorbs all the carbon dioxide that is present in the air. As a result, the purified water itself turns acidic. With repeated contact with air, the acidic level in the water turns really high. Every time you drink this water, you increase the acidic levels in your body. Purified water barely contains any minerals, and as a result, it dissolves all the substances it comes in contact with. Just like carbon dioxide, purified water also dissolves many of the metals. Drinking soft water, such as purified water, over a long period of time, can eat away in your body’s reserve of various minerals. Especially at a loss are calcium and magnesium, which means you have deficiency of some much-needed minerals in the body. When the levels of calcium, magnesium and other minerals in your body start dipping, it makes you more prone to various health issues. Some such health problems that could arise out of these deficiencies are osteoporosis, high blood pressure, hyperthyroid, coronary artery disease, as well as various degenerative diseases that are otherwise associated with early signs of aging. The pH level of water is generally done to check whether the water is soft water type or hard water type. In case of pure water, the pH level is 7. When water has a pH level of less than 7, it is considered to be acidic. When water has a pH level of more than 7, it is considered to be regular water. Pure waters pH essentially depends on the type of water, whether it is purified water or distilled water, or even the sparkling type. The pH of purified water in case of bottled drinking water is supposed to be between 6.9 and 7.5. If the water is coming from a surface water system, the ideal pH level should be between 6.5 and 8.5. Similarly, if the water is from a groundwater system, the ideal pH level should be between 6 and 8.5. Fluoride is a type of chemical ion that is found naturally in water, in different types of soil, foods as well as in different types of minerals. It is known to keep your teeth protected from tooth decay. As a result, even though fluoride occurs naturally, in a lot of instances it is added to water to reduce the chances of tooth decay. In such cases, you may find it beneficial to have added fluoride in the purified water that you use. ​You regularly use fluoride as a mouthwash or mouth rinse. There are excessive amounts of fluoride added to the purified water during the treatment process. While many people believe that it is good to have some fluoride added to the water, it can actually be a bad thing, if the exposure is too much. In a lot of the cases, children who are getting or yet to get their permanent teeth can suffer tooth damage due to fluoride exposure at a very young age. In such cases, the enamel in the teeth can show white marks that point towards dental fluorosis. In very severe cases of fluoride exposure, the teeth can become discoloured and have brown marks. Also, the enamel can become chipped as well as rough, and it can become difficult to clean the teeth properly. These stains and marks are permanent, and with time, will only get darker and more visible. Over exposure to fluoride also causes skeletal fluorosis. This is a condition which can lead to permanent damage to joints and bones in severe cases, along with pain and discomfort. When there is too much fluoride in the body, it can harden the bones and make them lose their elasticity. Eventually, this can put you at risk of fractures. Excess fluoride can also increase your risk of thyroid related health issues. In such a case, your thyroid gland can get damaged and cause hyperparathyroidism. When that happens, the amount of parathyroid hormones that is secreted by the glands goes out of control. This leads to calcium depletion in the bones and can lead to too much calcium deposits in the blood. The cheapest and easiest way to make your drinking water absolutely pure is to boil it. Boiling will help you remove all of those impurities from water that you cannot see with the naked eye, but that can be disastrous for your health. All you have to do is let the water come to a boil, then reduce the heat and let it boil slowly for another 2 to 3 minutes, and then let it cool while keeping it covered. Water never really goes bad, and does not actually have an expiration date. But the way it reacts with the air around it, and also the way it is stored can have an impact on its freshness and health value. After about 12 hours of being exposed to the air, water starts to turn flat. Purified water is highly absorbent and reacts immediately to the carbon dioxide in the water. It means that, as the water comes in contact with the air, it starts interacting with the carbon dioxide, and the pH level starts to decrease. Also, if the water is stored in a plastic bottle for long, and is also exposed to hot or warm temperatures, the chemical BPA from the bottle can mix in the water. BPA can cause serious health problems such as cancer and heart problems. When drinking the water, try to be careful about its taste and smell. Water that has gone bad can often taste or smell different, almost like a musty or mouldy smell. Also, it can look a little cloudy and not clear. If you get a chemical taste in the water, spit it out immediately and throw it away. Store it in a cool place, away from direct heat and light. Keep it away from chemical based products, such as paints, thinners and so on. Place the water in your refrigerator immediately after the first use. Do not leave the water in the car for long hours. Avoid buying very large containers and instead go for smaller ones, as it will ensure you finish the water faster, reducing chances of it going bad.